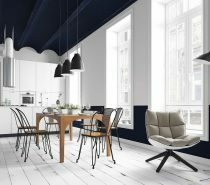 Stylish white decor schemes aren’t as simple or easy to get right as some may think. 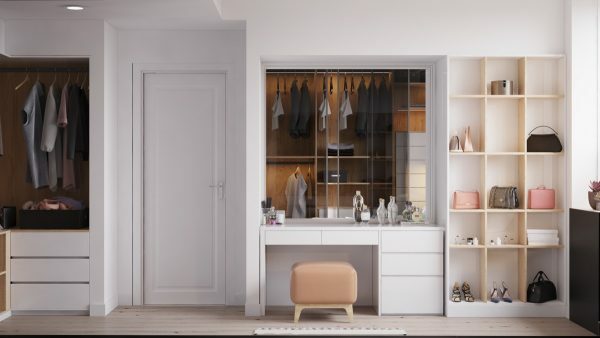 Sure, a blank palette takes away the margin for error in terms of clashing colour but go too plain and you’re in danger of living inside of a bland box. There are actually quite a few white shades out there! Paint pots come labelled with curiosities like: Navajo White, Seed Pearl, Silver Lining and Whisper. 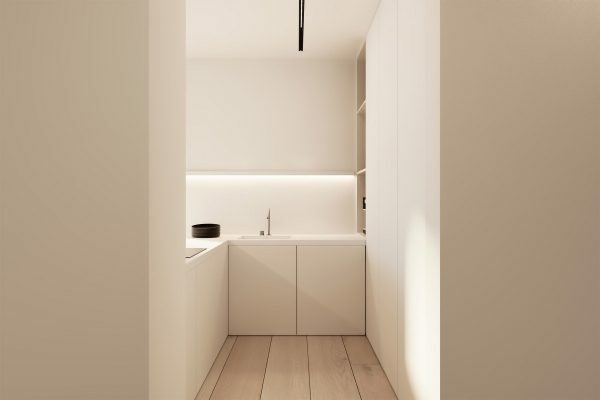 Aside from the shades of white there are to explore (they can be pretty open to interpretation on a backlit screen), let’s delve into adding interest through furniture, accessories, bold accents and differing aesthetics. Don’t have an icy heart. 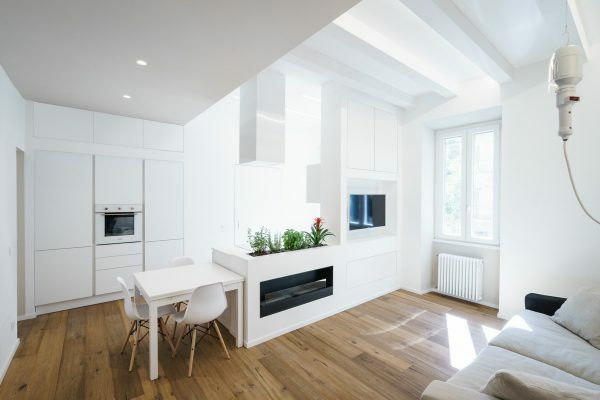 A white living room seems the obvious place to start, and a kitchen diner to boot. As this is the heart of the home, go for a warmer shade of white so that this cosy zone doesn’t feel too cold, or use lighting to cast a warm glow. Use treasured items to colour your blank canvas. White wall shelves blend cleanly with white walls and allow display items to stand out. Initiate a shape theme. A set of round modern coffee tables and a group of high impact orb shaped modern chandeliers make a stunning central focal point. A gallery white wall is just crying out for some art. 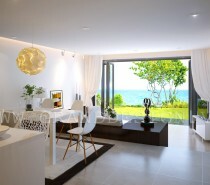 If you like this look check out these other living rooms with large wall art. Who needs colour when there’s shape? 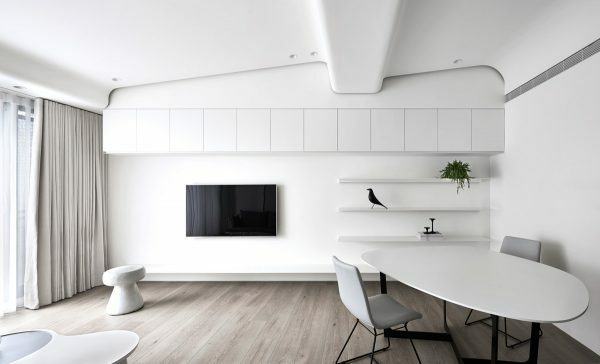 Another shapely theme, only this time from the ceiling architecture and an unusually shaped table. The rest of the room is minimalist. 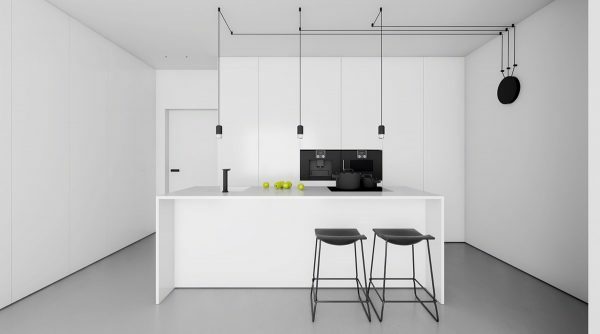 See other minimalist homes that indulge in lots of white here. Warm up white walls with wood flooring. Go tribal with natural accessories. 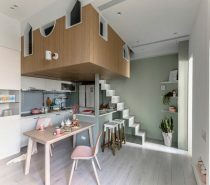 There are more pictures of this unique home here. 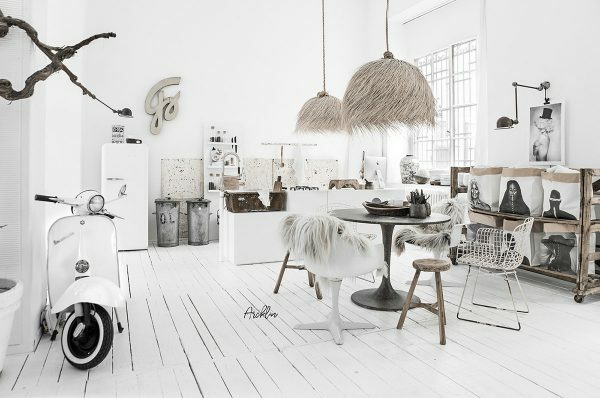 No one does white decor better than the Scandinavians. 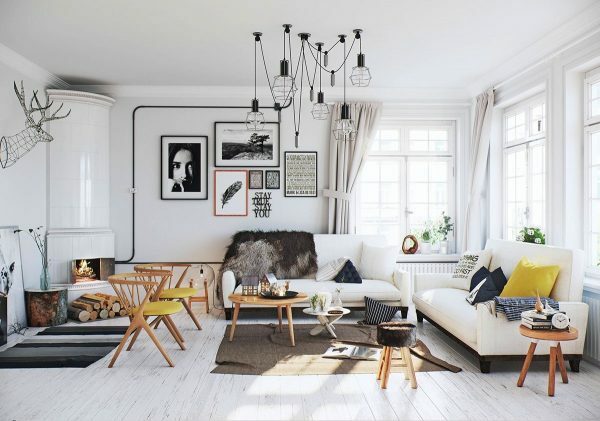 A Scandinavian living room is typically littered with monochrome elements, lots of wood frame furniture and an occasional pop of cheerful colour. White painted boiserie is like icing on a cake. Go all-in. 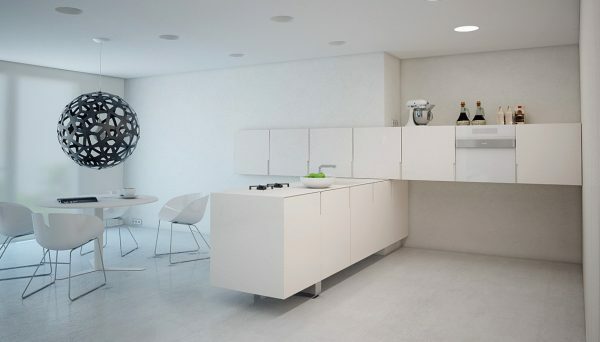 This all-white interior design spans the entire house, making the mezzanine level in-keeping with the ground floor. Use texture, pattern and framing. 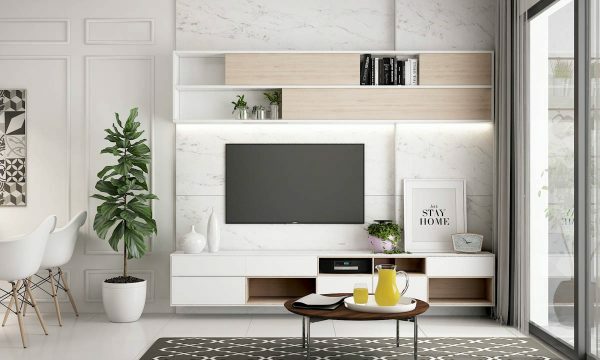 This tv wall decor has a grey veined white marble backdrop. Wainscoting decorates the adjacent wall. Even though both walls are white, these small additions add lots of interest. 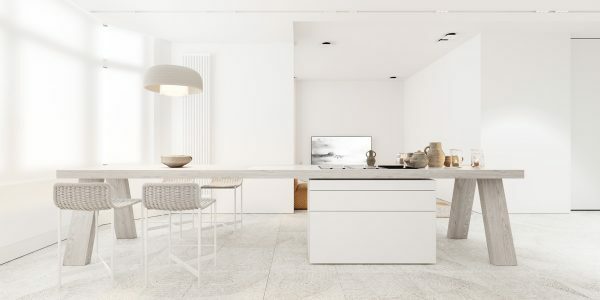 This white dining room uses textured tile for the floor. Change out just one or two white items. 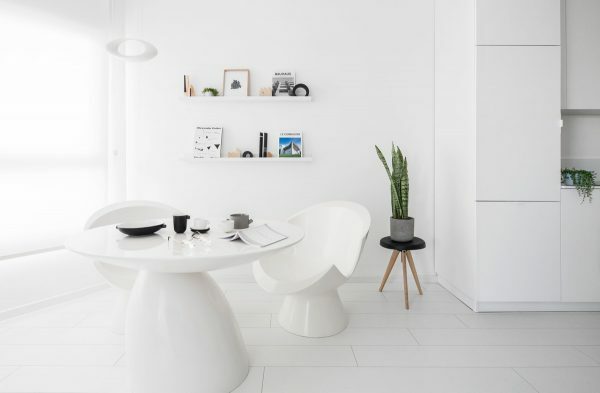 One white dining chair has been bumped for a black version in this black and white dining room. A black plant pot balances out the new recruit. 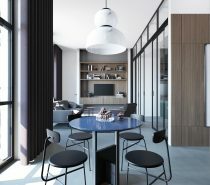 These shapely black modern dining chairs look like origami. 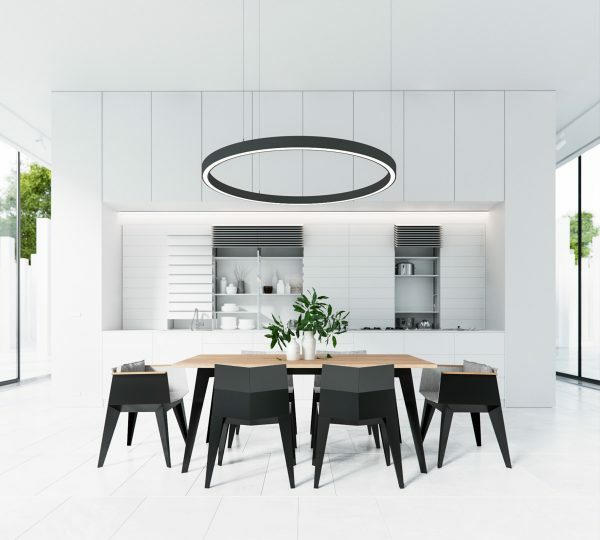 Crown a plain white dining set with a striking black dining pendant light. Dark wood looks strong cutting through a snow white scene. Season with black pepper. Not literally. But a white scheme is made more tasty with a peppering of small black accessories, like this crockery set and plant stand. Indoor plants add a sneaky snippet of green too. Add soft textures, like the bushy light shades and shaggy faux fur throws of this tribal decor. Build in some industrial flair with a concrete accent wall. 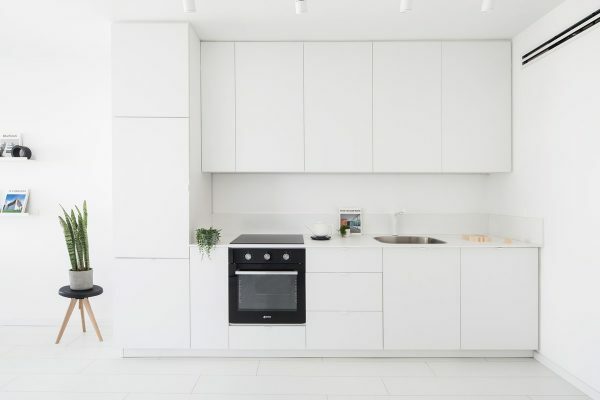 Break a run of white kitchen units with an integrated black oven. 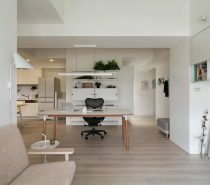 Make a quirky layout of ordinary white kitchen units. 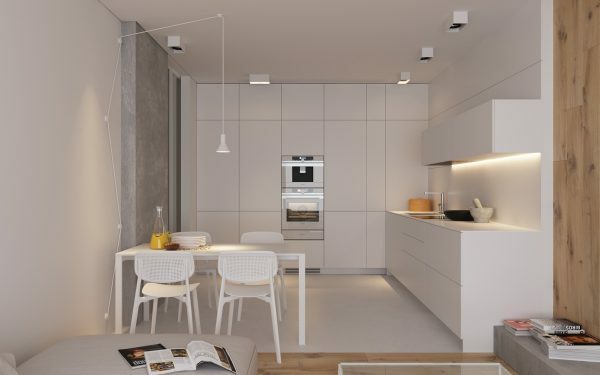 White decor helps a small kitchen feel more spacious. 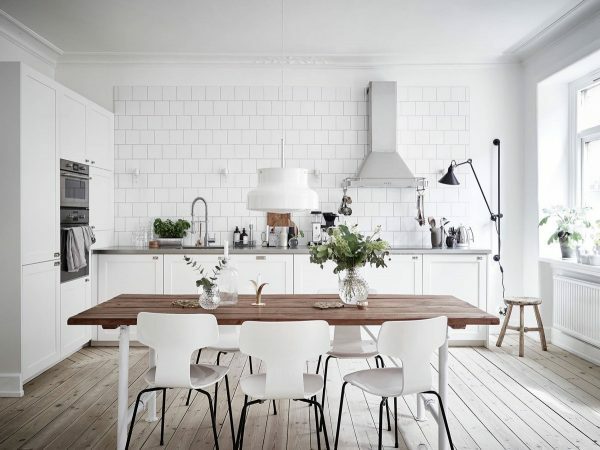 Scandinavian kitchens have most of the cooking utensils out on display to create a culinary buzz. 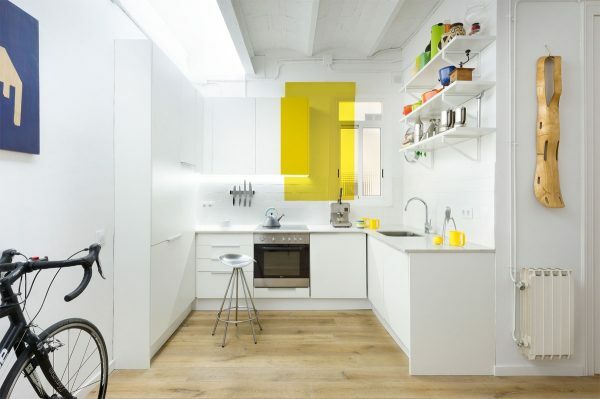 Throw in a block of colour like this yellow accent kitchen. Draw out a design with electrical wiring. The route of these kitchen pendant lights looks like a subway map. Black kitchen bar stools match the ceiling feature. 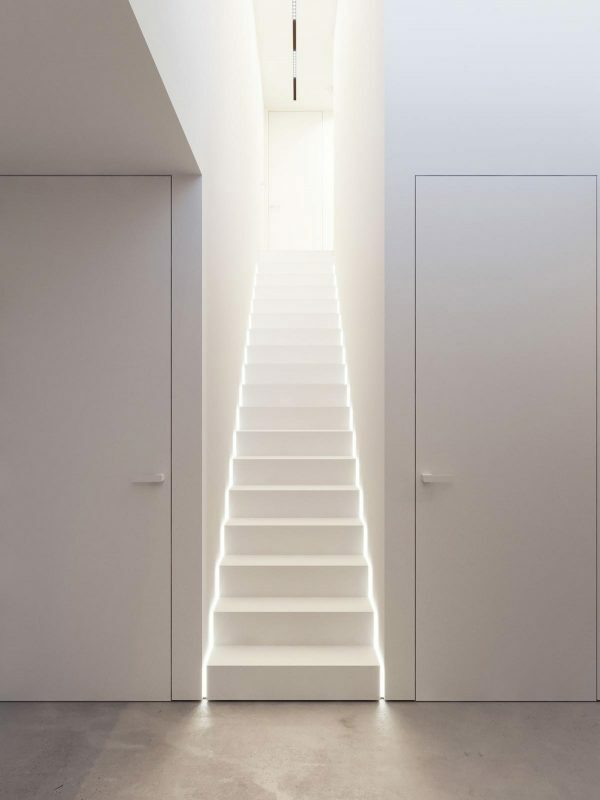 A stairway to heaven? Nope, just some heavenly white LED lighting. 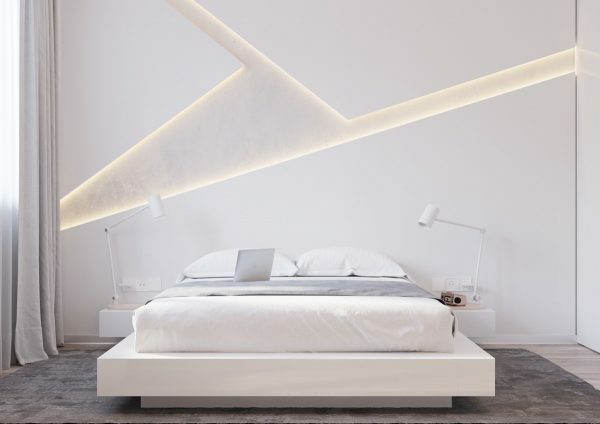 Jazz up a white bedroom with an eye-catching feature wall. Use warmer neutrals to soften. The wooden legs of this floor lamp are complemented by a neutral pebble rug and bed throw. Embrace flexibility. 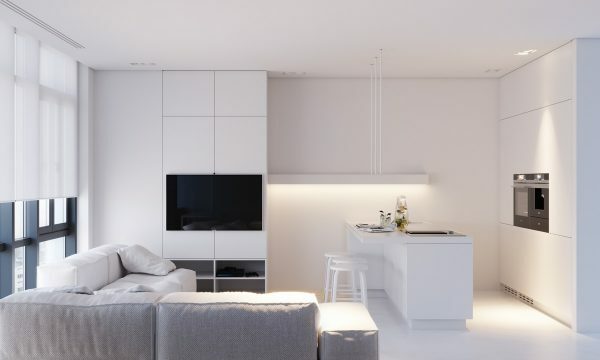 The beauty of a predominantly white scheme is that you can change out colour with ease. These swing arm wall lamps light bright wall art that can be swapped in an instant. 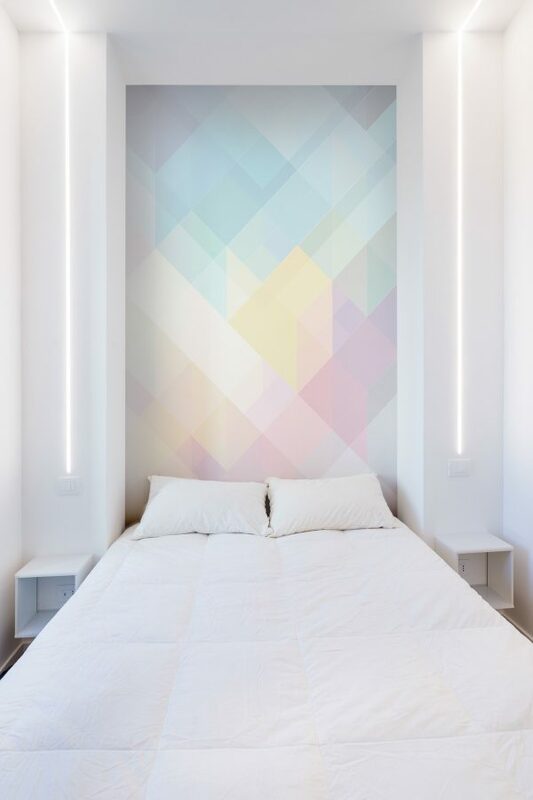 This pastel headboard feature wall is a little more permanent, but oh so beautiful. 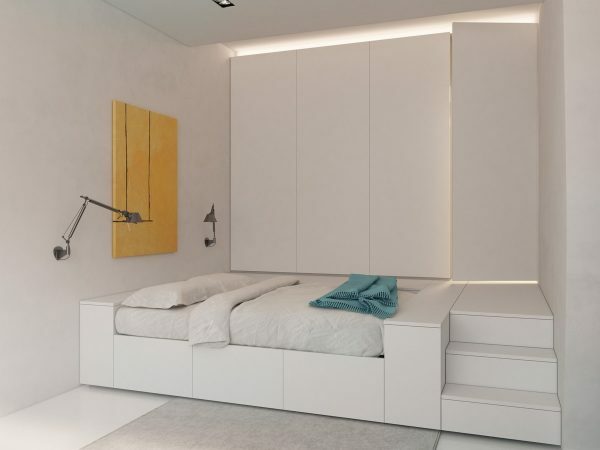 Also note the fantastic recessed bedside lighting strips that travel up and over the ceiling. 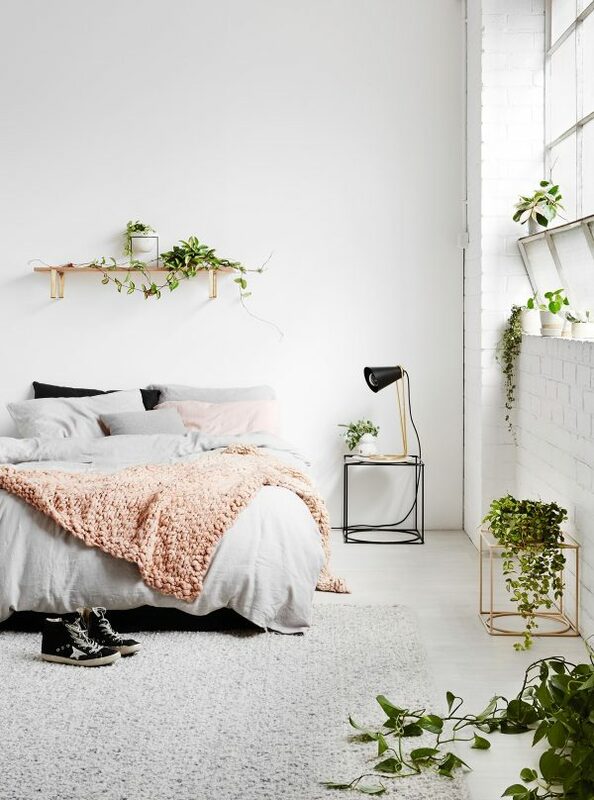 Whitewash exposed brickwork for a cool loft look. A modern four poster bed looks great against the urban chic backdrop, with a unique ceiling fan and artwork contained within its frame. Turn up the volume on pattern. A white decor scheme doesn’t have to be plain. Black polka dots and geometrics update the look. Turn your white house into a greenhouse. 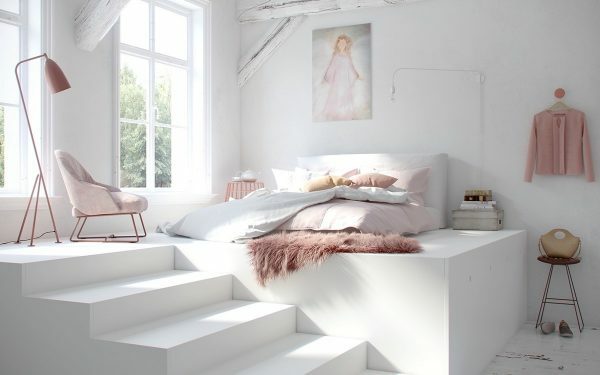 Pretty pastel pink accents look divine on white. The white interior door next to this makeup vanity is kitted out with white door furniture for a clean finish. 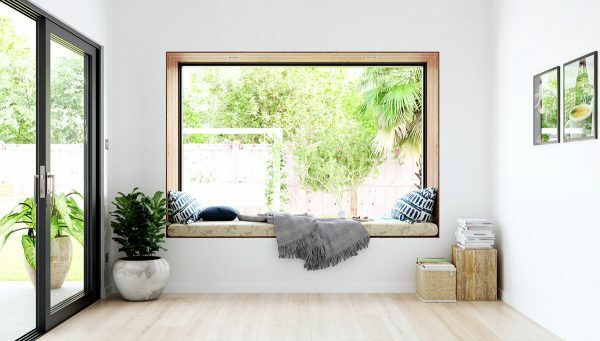 Every nook has a wooden lining – or at least this reading nook does anyway. 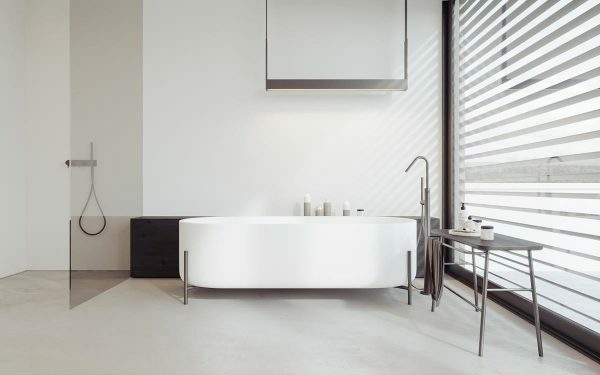 A tinted shower screen sections the white space in this luxury bathroom. 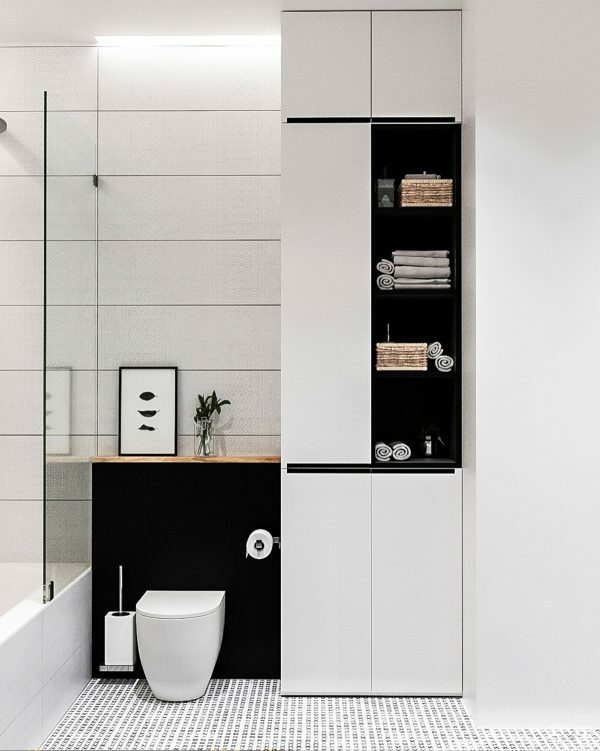 Charcoal floor tiles ground this light bathroom scheme. Be brave with chunky base notes of black to counterbalance white. 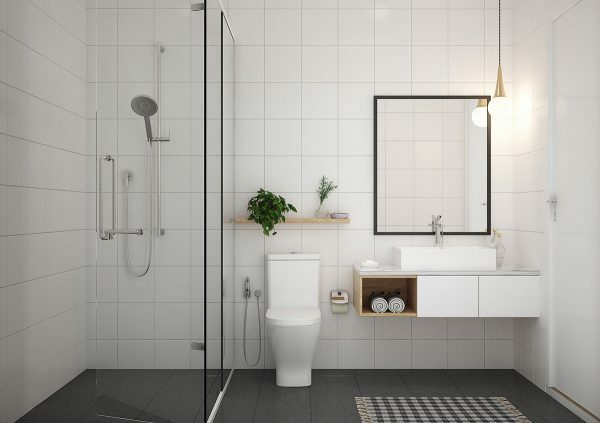 An all-white bathroom always looks clean and hygienic. 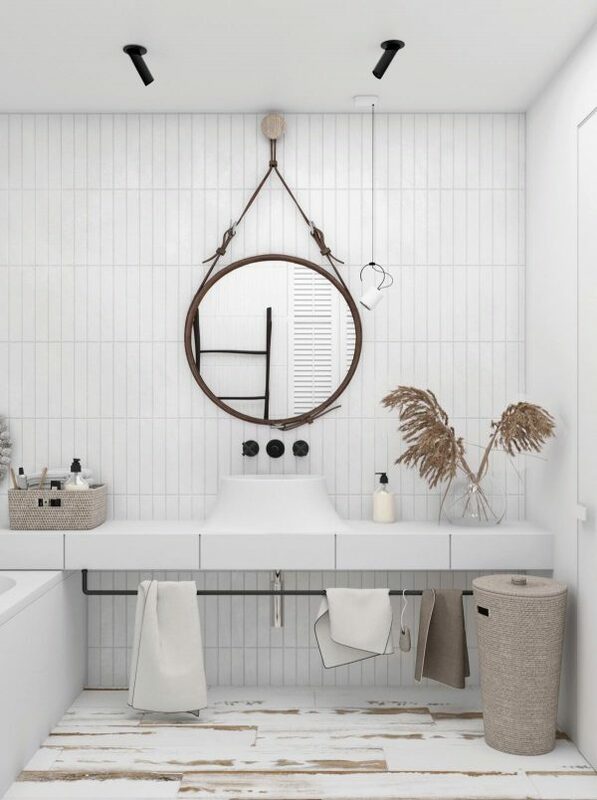 However, a few natural elements like a unique laundry basket and a leather strap mirror pull in a little style. 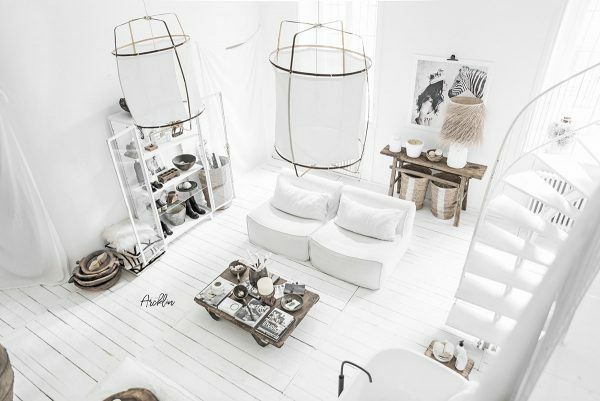 Note the beautifully distressed white painted floor too – gorgeous!